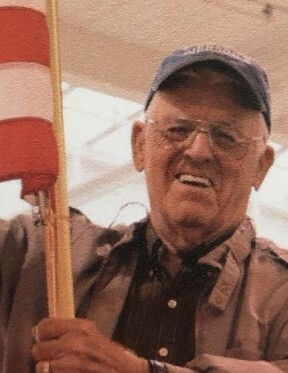 George Irvin Lingard passed away at home on January 5, 2019 at the age of 88, surrounded by his loving family. George was born on December 14, 1930 to Raymond and Myrtle Lingard in Nova Scotia, Canada. He was one of eleven children. He left Nova Scotia in August of 1948 and settled in Eureka. He lived with his grandparents until his 18th birthday when he found a job milking cows in Loleta. From there he worked in the woods for Pacific Lumber Company until 1952 when he was called by Uncle Sam to serve in the Korean War. After two years he returned home to Eureka where he worked for Zook’s News Agency for 38 years, retiring in 1995. In 1954 he married Elinor Hamilton and raised three sons. George always claimed to be a jack of all trades and master of none. He was a member of four different lodges and an avid wood worker. He enjoyed golfing, hunting, fishing and bowling as well as traveling and camping in his motorhome with his family. 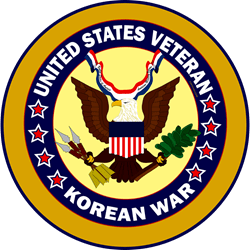 George was also a proud member of the Korean War Veteran’s Association. George is proceded in death by his father and mother, four brothers and one sister. He is survived by his loving wife of 64 years, Elinor, his three sons Ronald (Joeinne), Raymond (Liz) and Randy (Lisa). His grandchildren Ben (Jen), Melissa, Andrew, Shannon (Landon), Sarah (Eric), Louie and Daniel. His great-grandchildren Josh, Lalah, Briella and Bradley as well as five sisters and numerous nieces and nephews in Canada. A celebration of life will be held on February 2nd from 2pm-5pm at the Elk’s Lodge on Herrick Avenue in Eureka. In lieu of flowers please donate to Hospice of Humboldt and thank a veteran for their service. The Lingard family would like to thank Hospice of Humboldt and the Senior Resource Center for their wonderful, loving care of our beloved Georgie.